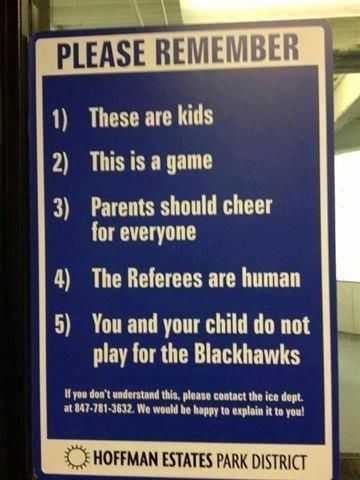 Overzealous hockey parents are always a tad gauche in my opinion (Note to others: Don’t become one). Irate parents who think their little Johnny’s or little Suzie’s are going on to play in the NHL or represent their country at the Olympics have been around forever. Losing their minds at coaches, referees, other players and at other fans these parents are often seen doing many irrational things. I can recall seeing a few fans during my playing days who are probably pretty happy that their antics weren’t captured with the latest wave in technology (good thing the old Camcorder wasn’t rolling in the Port Dover arena, right Mom?”) I’m pretty certain the gentleman on the following clip feels wishes his craziness happened in another era. “Way To Go Paul!” is going to live on in infamy. Solid pro move Paul! The Toronto Maple Leafs are in the midst of their all too familiar winter slumber in the standings as they continue on their not so torrid streak of 3-13 in their last 16 games. 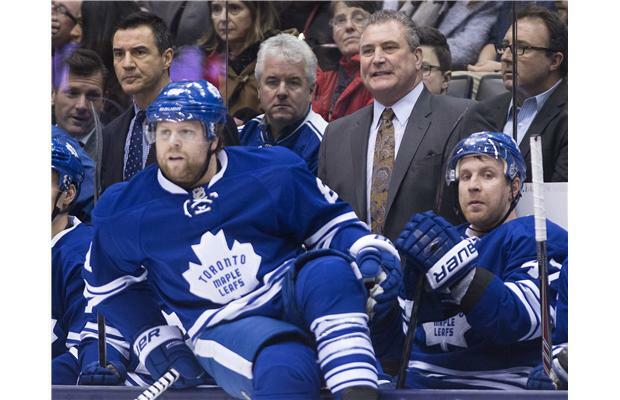 After firing Randy Carlyle and placing Peter Horachek in charge the Leafs have seemingly forgotten not only how to win a game, they have forgotten how to score a measly goal. Literally, they can’t score even a single goal as they have all of 2 goals in the last 5 games. This from a team that was the highest scoring team in the whole league not too long ago. Puzzling to say the least for the players, coaches, management and most of all the fans of the blue and white. Of course this recent trend (if you can call 48 years a trend) is driving all the Vito’s from Woodbridge on the Fan 590 crazy. 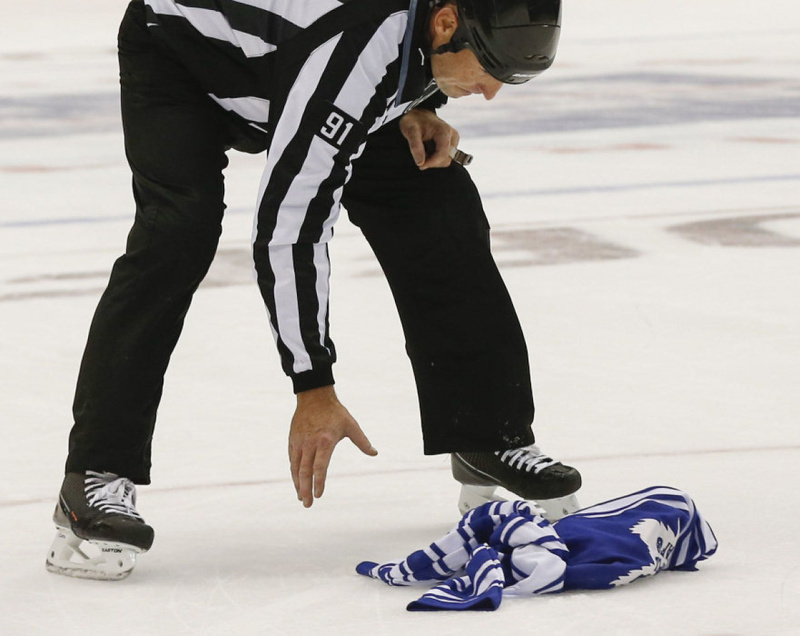 Some fans are so worked up about the Leafs plight that they have begun to toss off their jerseys in some form of protest and show of displeasure for the product on the ice. The Leafs are not too pleased about this, neither is the local law enforcement. After last night’s debacle (a 4-1 loss to Carolina) 3 fans were charged with mischief for their jersey tossing efforts. So it would appear that jersey tossing is bad but a long storied tradition of tossing hats on the ice after a player scores a hat trick is okay? Or is it? No need to worry I suppose for Leaf fans like myself, as it doesn’t appear that any Leaf will score a goal let alone 3 in a game to test the tossing hat theory. Just another year in Leaf Nation. Sigh. Little known fact my friends. As a youngster I toiled in Niagara Junior C hockey loop. My playing style was truculent, pugnacious and hostile at times. These attributes served me well but they also caused me to either be a healthy scratch after warm-ups or at times I had to be ushered off the ice with the help of a linesman or referee due to a fracas with member of the other team. Luckily for me no matter which I left the ice I did so in a much safer manner than Mitchell Skiba of the Alpena Flyers. The town of Alpena thanks you Mitchell for the acclaim, well done sir. Peter Horachek has been in charge of the Toronto Maple Leafs for less than a week and he is already fitting in quite nicely. Watch this footage of his strong work in the corners. 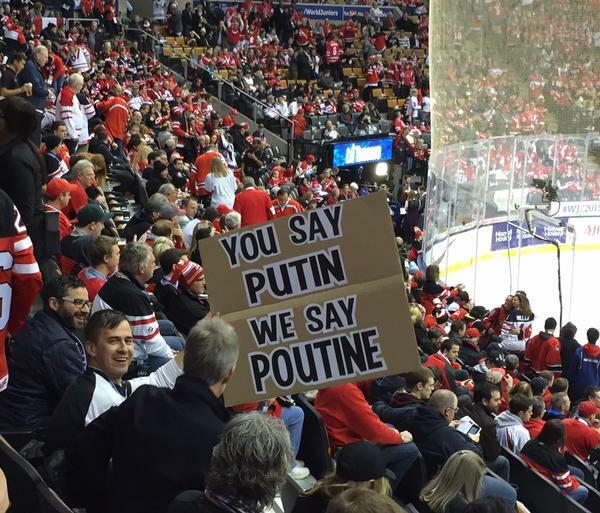 Great sign from tonight’s World Junior Gold Medal game. GO CANADA GO!! During the summer months I try not to do much in the way of work (some might argue that this mantra might not be exclusive to only the summer months…but I digress). I was contacted earlier this summer by the makers of a new hockey card game called SHOOTERZ. I’m flattered to be asked and even more flattered to receive a promotional copy to aid me in entertaining both my boys the Association and the Merger this summer (thanks Randy from Caper Games much obliged). The quick and easy research (is there any other kind for me?) informed me that Shooterz is a head-to-head hockey card game where players look for combinations to shoot for a goal and make saves. The suggested age for the game is 8 years or older and it’s a 2 player game. I explained to my 6 and 4-year-old boys that they had to be 8 to play but they were adamant in the desire to play so we made a few modifications to the teams (The Association was pitted against The Merger and I) and we started to play (in truth my maturity should be called into question before I make light of theirs). The game was pretty fun for us to play. My boys have a remarkable hockey I.Q for their ages and having a head to head match up vs. each other was our usual modus operandi. Having just learned about how to play the game UNO was a huge help as we navigated our way through the game. The Merger was a big fan of controlling our team goalie (which was the blue team as we decided it was closest to the Leafs) and The Association was very eager to collect the necessary cards so he could launch a “howitzer” (his words, not mine) at our net. Although we didn’t follow the rules perfectly, collectively we had a great time playing. The head to head aspect of the game is quite reflective to the adversarial games we have been playing this summer (by design or otherwise). As the fellas grow older and I could definitely see how Shooterz could be a great companion at a hockey tournament or a great after school activity. Our household has great love for sports and truthfully it’s nice to have the option to play a card game vs. some new app that might be available on the IPAD. I’m no Siskel nor do I have a hip rating system but I’d suggest that Shooterz is well worth a look to anyone that is reading this (whether it’s legitimate…thanks Mom or just another accidental visit). If you do feel you want to try to play Shooterz fire off a message to Randy from Caper Games and tell him I sent you. Tough news on the Team Canada front today. 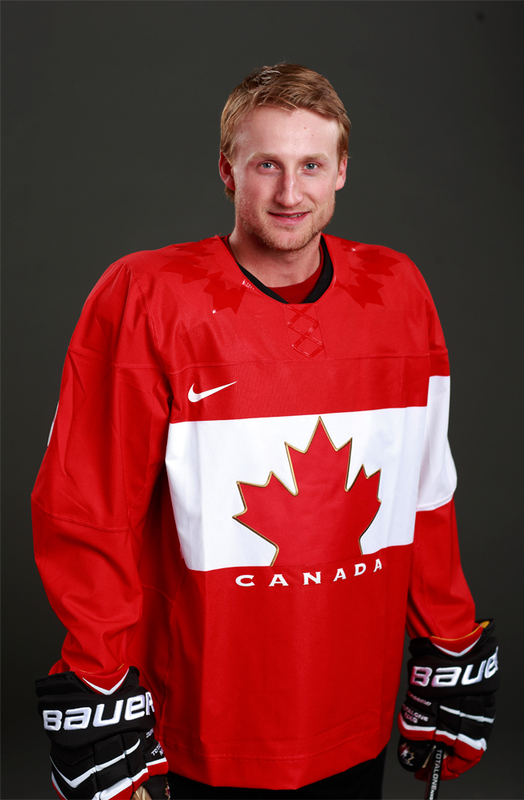 News has filtered down that Steven Stamkos is out for the upcoming Olympics in Sochi.